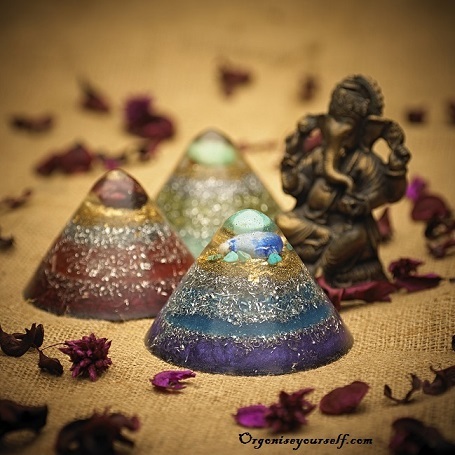 Since orgonite is an excellent space cleanser, it can be used together with Feng Shui to cleanse and balance the chi in your home, to improve areas of your life by using orgonite in conjunction with the Bagua, or to smooth out problematic areas in your home that have a negative impact on your home’s chi flow. Feng Shui (pronounced fung shway) is an art that was developed in China over 3000 years ago. Feng means wind, and shui means water. Wind and water are associated with good health and fortune in Chinese culture. Feng Shui is a body of knowledge that reveals the ways in which to balance the energies of a space in order to bring good fortune into your life. Feng Shui has gained a lot of popularity in the West, and orgonite gives us another tool with which to apply Feng Shui principles. Obstructed chi – walls or objects put in the wrong place so that chi cannot flow through the home efficiently. First of all, simply placing orgonite in your home will do a lot to balance the energies and the energy flow inside it. 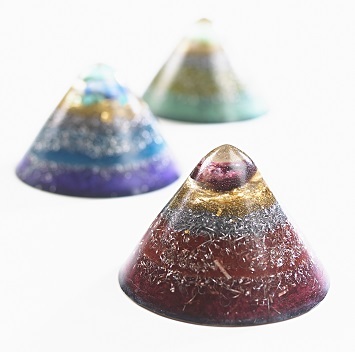 However, we can also place orgonite strategically in order to further improve the energy flow. Even though there are specific guidelines when it comes to Feng Shui, it’s important to be flexible and use your own intuition. If you have an area of your house that feels “off”, place orgonite in this area in order to improve its energy. If being in a certain area of your house makes you feel tired and lethargic, this is the first place you should put orgonite. Electrical appliances can create chaotic energy. Place orgonite next to or on top of devices such as computers, refridgerators, clock radios, televisions and cordless phones. For maximum effectiveness, make sure that your orgonite pieces are distributed as evenly as possible in your home. A popular practice is to grid all four corners of a room or a house with orgonite, ensuring maximum coverage. If you’d like to know more about specific placement of orgonite in order to improve different parts of your life, have a look at the article about orgonite and the bagua.